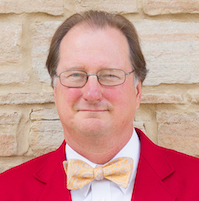 Mark D. Hill is the Gene M. Amdahl Professor of Computer Sciences and Electrical & Computer Engineering at the University of Wisconsin–Madison, where he also co-leads the Wisconsin Multifacet project with David Wood. His research interests include parallel computer system design, memory system design, computer simulation, deterministic replay and transactional memory. He earned a PhD from University of California, Berkeley. He is an ACM Fellow and a Fellow of the IEEE. Tom Conte is a native of Delaware , but served his time in a corn field in the middle of Illinois, escaping only when he received his Ph.D. from the University of Illinois at Urbana-Champaign in 1992. From 1992-1995, he was an Assistant Professor at the University of South Carolina in Columbia, SC, where he met his wife (which was just about the only good thing that happened to him in South Carolina). In 1995, Conte moved to NC State University (in Raleigh, NC), where he was an Assistant Professor (1995-1998), then an Associate Professor (1998-2002), and then an adjective-free Professor of Electrical and Computer Engineering . Somewhere in there (2000-2001) he took a short detour to DSP startup BOPS, inc. to serve as a manager of their back and compiler group and “Chief Microarchitect” (because they already had a “Chief Architect”). After cursing Computer Science as a faux discipline for decades, he accidentally became a professor of Computer Science at Georgia Tech, where he suffers to this day. Conte currently directs a bunch of Ph.D. students in topics ranging from compiler design to advanced microarchitectures. His research is or has been supported by DARPA, Compaq (formerly Digital), Hewlett-Packard (formerly Compaq), IBM, Intel, TI, Sun, NASA, and the National Science Foundation. 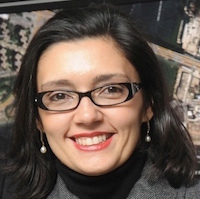 Juliana Freire is a Professor of Computer Science and Engineering and Data Science at New York University. She holds faculty appointments at the Tandon School of Engineering, Center of Data Science, Courant Institute for Mathematical Science, and Center for Urban Science. 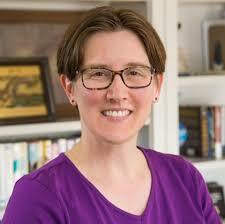 She is the executive director and principal investigator of the NYU Moore-Sloan Data Science Environment. Her recent research has focused on big-data analysis and visualization, large-scale information integration, web crawling and domain discovery, provenance management, and computational reproducibility. Prof. Freire is an active member of the database and Web research communities, with over 180 technical papers, several open-source systems, and 12 U.S. patents. She is an ACM Fellow and a recipient of an NSF CAREER, two IBM Faculty awards, and a Google Faculty Research award. She has chaired or co-chaired workshops and conferences, and participated as a program committee member in over 70 events. Her work has been funded by the National Science Foundation, DARPA, Department of Energy, National Institutes of Health, Sloan Foundation, Gordon and Betty Moore Foundation, W. M. Keck Foundation, Google, Amazon, AT&T, the University of Utah, New York University, Microsoft Research, Yahoo! and IBM. 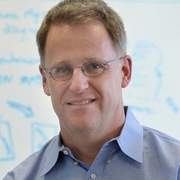 Ian Foster is Distinguished Fellow and director of the Data Science and Learning Division at Argonne National Laboratory. He is also the Arthur Holly Compton Distinguished Service Professor of Computer Science at the University of Chicago. Ian received a BSc (Hons I) degree from the University of Canterbury, New Zealand, and a PhD from Imperial College, United Kingdom, both in computer science. His research deals with distributed, parallel, and data-intensive computing technologies, and innovative applications of those technologies to scientific problems in such domains as climate change and biomedicine. His Globus software is widely used in national and international cyberinfrastructures. Foster is a fellow of the American Association for the Advancement of Science, the Association for Computing Machinery, and the British Computer Society. His awards include the Global Information Infrastructure Next Generation award, the British Computer Society’s Lovelace Medal, the IEEE’s Kanai award, and honorary doctorates from the University of Canterbury, New Zealand, and the Mexican Center for Research and Advanced Studies of the National Polytechnic Institute (CINVESTAV). He was a co-founder of Univa, Inc., a company established to deliver grid and cloud computing solutions. The Systems and Architecture task force leads activities to address the future of computing systems and architecture in order to achieve major goals such as overcoming the end of Moore’s Law and improving high performance computing systems. This is a new task force – membership and scope subject to change.